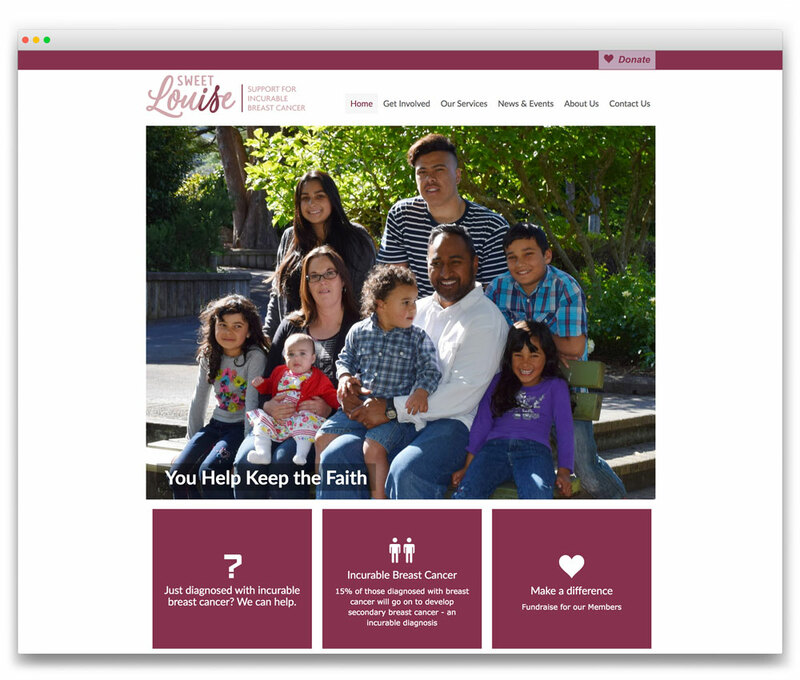 BRIEF: Sweet Louise, a non-profit organisation supporting people living with secondary breast cancer, had a website that they said was “difficult to navigate, does not engage users, does not engage members, fails to promote Sweet Louise’s personality nor effectively promote the Sweet Louise brand”. They were delightfully specific about their goals and requirements for a new website, covering e-Commerce, donations, security for donations, online registration for members, integration with a donor database, easy-to-use content management system, and dynamic and engaging design. They set out a required timeline to start the design process in March and go live in June. SOLUTION: We proposed then set up a responsive WordPress website using the premium version of the Virtue theme, and incorporated WooCommerce functionality, DPS security for payments, a WP-Google Map linked to their services database and tailored the other functionality, layout and design of the site to meet all their requirements. We also provided written and face-to-face tuition on loading content and administering the site. OUTCOME: The Sweet Louise team were very happy to take the website live on 11 May (a month or so ahead of target and well below budget).